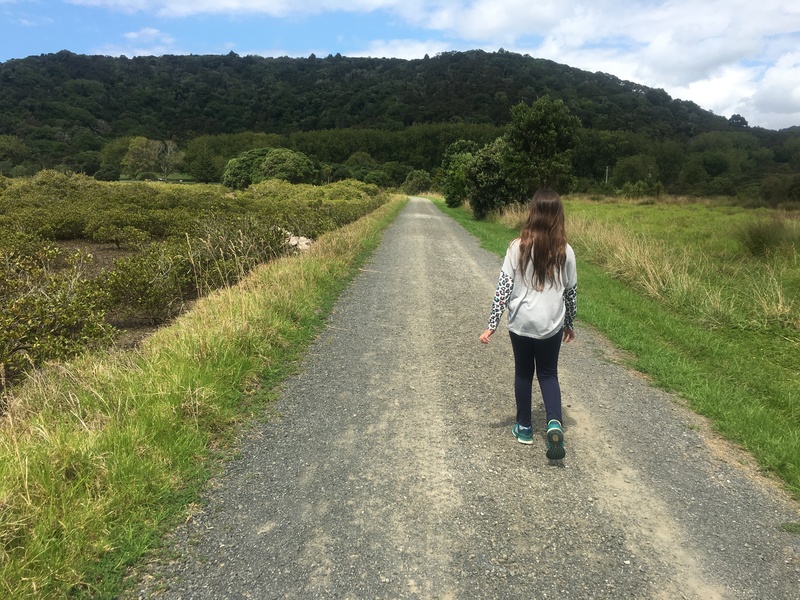 After last week’s family meeting where we chose between camping at Hunua (Forest) or Wenderholm (Beach), the Nash Family packed the car and headed to Wenderholm for our #microadventure. The Schischka Campground which opened in 2014 has been built alongside the Puhoi River estuary on land that was purchased from the Schischka family in 2002 to allow for extension the of Wenderhom Regional Park. In fact the homestead is still located on the property and if you don’t want to “rough it” you can rent the entire house. 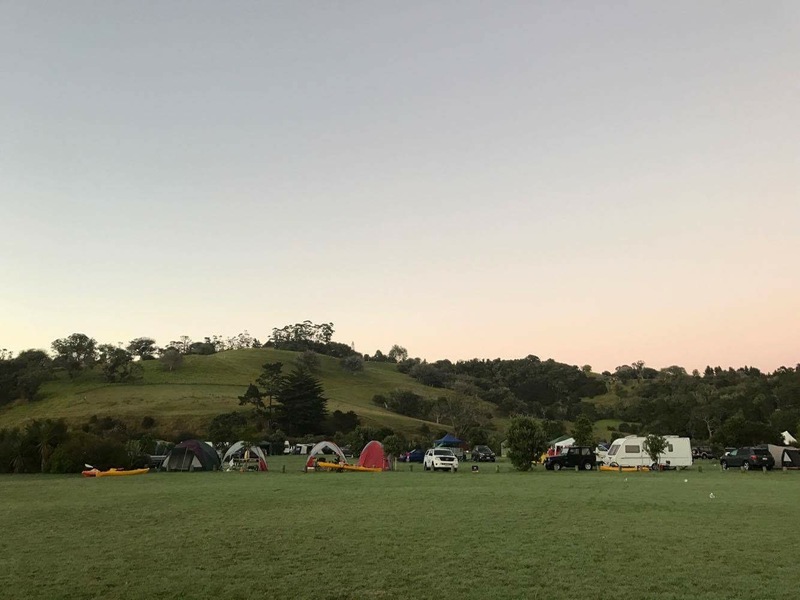 As one of the newer campgrounds in the ARC fold, the facilities are (for a public campground) top notch with a large clean toilet block, which is lit at night and water fountains (with taps mounted below at the perfect height for cleaning sandy feet or filling washing buckets) scattered throughout the grounds. There are also rubbish and recycling facilities including a worm farm located near the main entrance. From the campground, Wenderholm beach is approx: 1.5 km by road, although I saw very few people drive across. Most people I saw opted to wade across the estuary at low tide (which is what James and Elias did) or follow the gravel pathway that hugs the water’s edge, which is what Isabelle and I opted to do. I’ve just checked the booking calendar and on the night we stayed the campground was fully booked (160 people) which seems quite surprising considering how much room there was. Although there were a few large groups who huddled all of their tents next to each other around a central gazebo where they would eat/socialise so perhaps if you went on a day where it was mostly couples or small family units there would be less space especially during winter when the ARC close off access to the extension field. Speaking of the extension field, if I’d known about it prior to my arrival I would have opted to pitch our tent in that area as it was much quieter than the main camping ground although we would have missed out on the water views from our tent. In saying that after a night of being constantly woken by people stumbling loudly past the tent or stopping to chat about world events, I would have taken less people wandering past over water views in a heartbeat. Thankfully after a pretty dodgy week in weather wise, the gods smiled upon us and we spent most of our time either in the water or climbing the large tree next to it, I’m guessing this is a particularly poplar activity as the one and only bench seat in the entire vicinity is located right here. As this was a family adventure I’m going to let each person summarise what they thought of Schiska Campground. Did you enjoy camping here? Me – Overall, yes, I’d be happier if there were less people. Elias – Mmmm not so much. What was your favorite thing to do here? Me – Swimming in the river. James – Swimming at the beach. Issy – Playing in the river. Elias – Climbing the tree and mining for rocks. All in all it’s a great family friendly campground and even though the “no amplified” music rule doesn’t seem to be enforced and it can get quite rowdy if there are large groups holidaying together at no time was I worried about the kids running around unattended inside the campground especially as the vast majority of campers were multi generational family units and at $15.00 per adult and $6.00 per child for the night, it’s a very cost effective adventure for the entire family. For more info (including how to make a booking) see the ARC website.